Hundreds of thousands are without power as a winter storm continues to pummel parts of the South with heavy snow, ABC News reports. The storm dropped roughly 2 feet of snow on parts of Virginia and 10 to 20 inches of powder on parts of North Carolina, South Carolina, Tennessee, Texas and West Virginia. Parts of Georgia and Kentucky received half a foot of snow or more. More than 276,000 people are currently without power because of the weekend storm. More than 141,000 of the customers left in the dark are in North Carolina, ABC News reports. The massive storm has created havoc on roads and highways throughout the South. 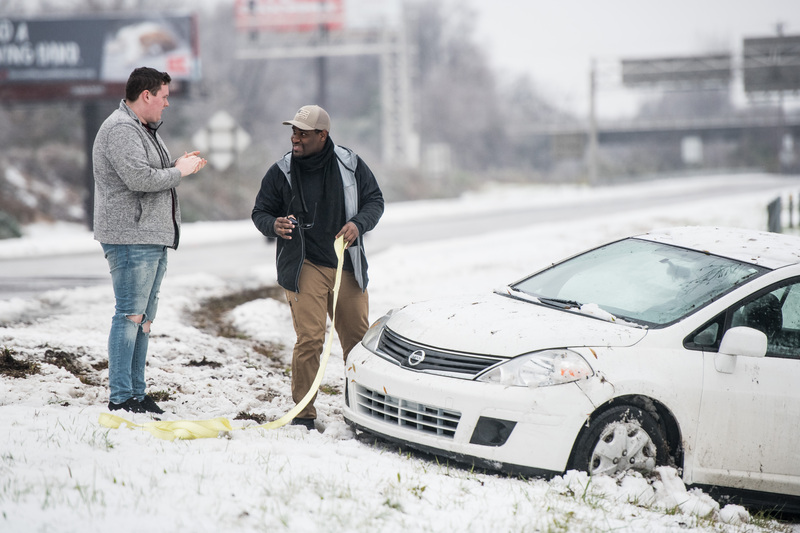 People attempting to travel on the icy roads have gotten into accidents more often and the storm has hindered emergency vehicles and first responders. North Carolina Gov. Roy Cooper warned residents Sunday to keep from traveling if possible as National Guard workers, road crews and emergency personnel clear roads of traffic, according to the Associated Press. At least one person died because of the storm that placed more than 20 million people under a winter weather alert and about 8 million people under flash flood warnings. Nine million people fell under high wind advisories, CNN reported. More than 1,100 flights in and out of North Carolina’s Charlotte Douglas International Airport were canceled Sunday. The storm is moving east off the coast and into the Atlantic Ocean. Some snow is continuing to fall on the states of Georgia, North Carolina, South Carolina, Tennessee and Virginia, according to ABC News.